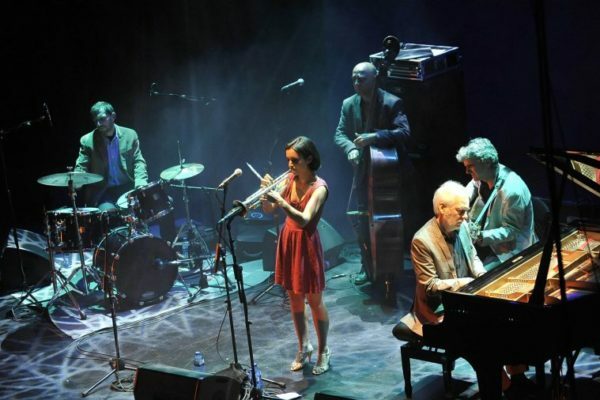 Days of the city of Barcelona with 18 by 24 September. Holidays La Merce. 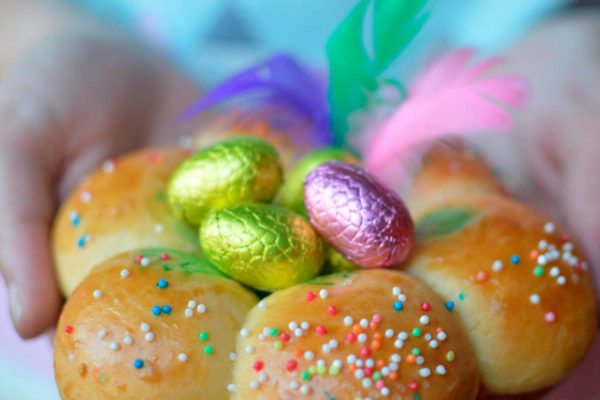 Home Events in Barcelona Miscellaneous, Festivals, Trade fairs Days of the city of Barcelona with 18 by 24 September. Holidays La Merce. 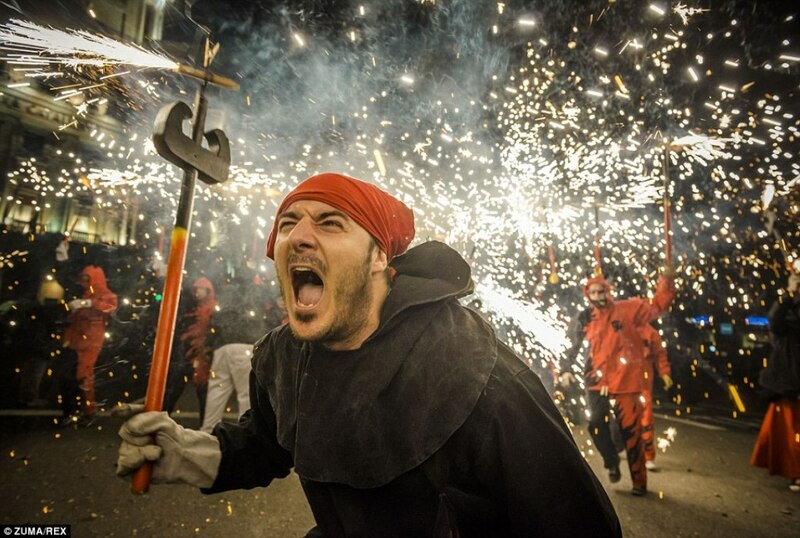 Patron Saint of Barcelona is Our Lady of Mercy Mercy, which is dedicated to the full interest, bright and informative events of the festival of La Merce. according to legend, at the end 17 Ages Merce Barcelona saved by locusts, and the grateful inhabitants of the city decided to choose it as their protector and patron saint of. Prior to that, the patroness of Barcelona considered holy Great Martyr Eulalia, therefore, the September rains barselontsy believe tears Eulalie, which cries of resentment on incorrect citizens. 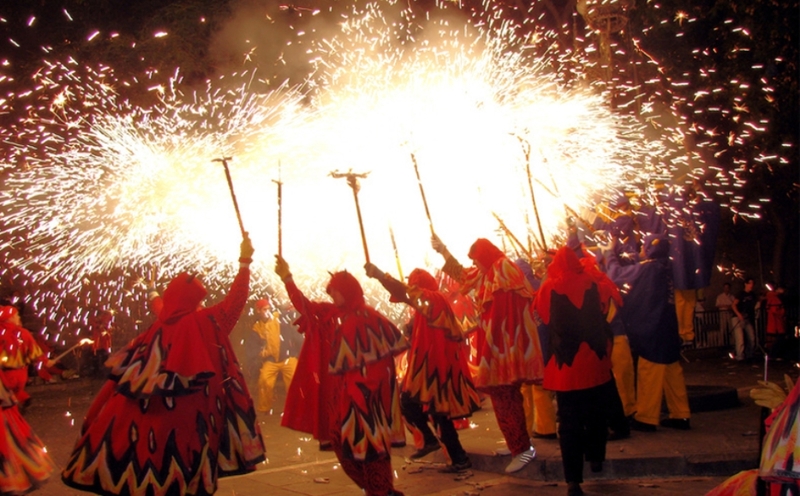 - Calling the sea of ​​adrenaline "Fire Flight" korrefok, which involves maskers dressed as devils, as well as the fire-breathing dragons and other monsters are stuffed with firecrackers, belching flames and sparks right to audience. When visiting this action it is recommended to wear clothing with a hood and long sleeves, which then will not be a pity to throw away. 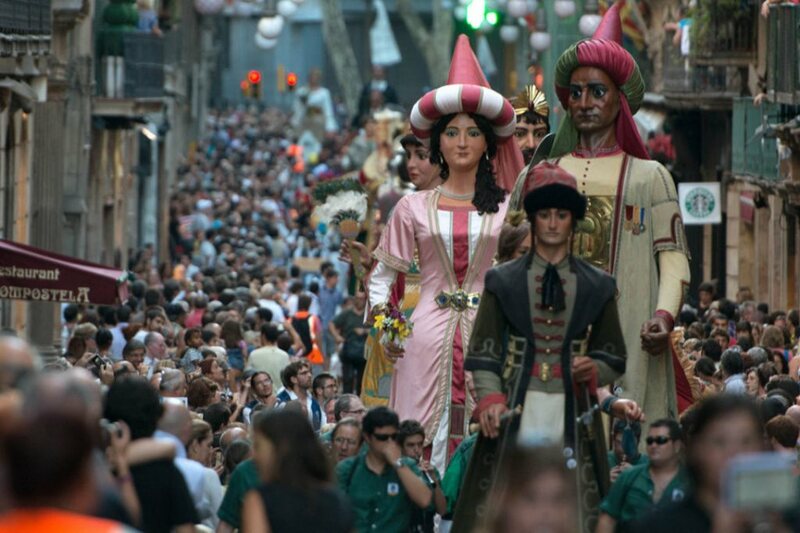 - Parade of the Giants, during which infest the streets of Barcelona march giant-sized figures. Giants symbolize the kings and queens, gentry, saints and other historical and mythical characters, that rise above the crowd. - Towers of the people "Castells". tall towers in 5 or 6 floors, built before your eyes of the people, with a small child at the very top - a spectacle, from which simply breathtaking. Castells declared World Heritage by Unesco and considered Catalonia's national sport, because it requires tremendous effort and coordination. 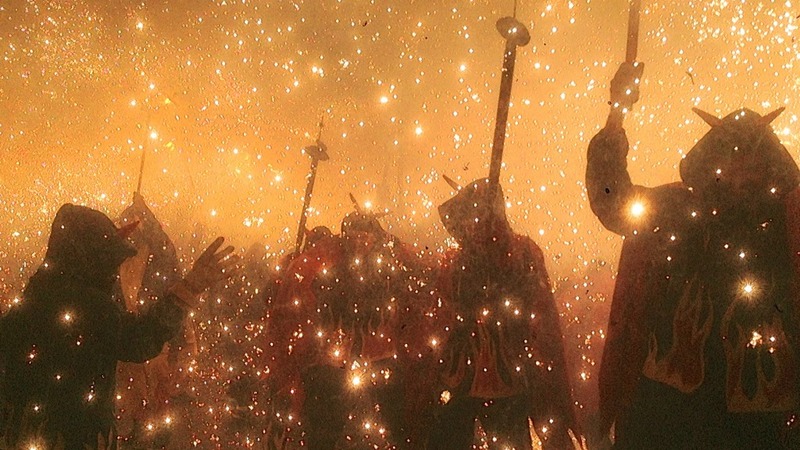 - Traditional dance dance "Sardana", which represents the pride and cohesiveness of the Catalan people. 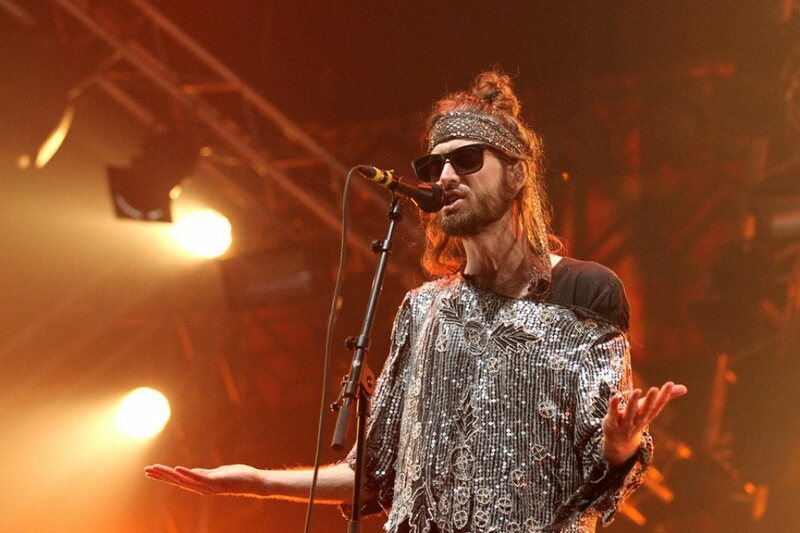 In addition, the city streets will be organized many concerts, shows and theater performances. The program includes all kinds of entertainment - for example,, circus performances, laser light show on the facade of City Hall and fireworks. 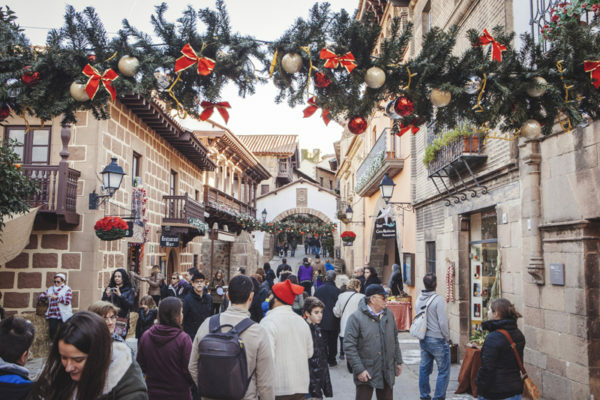 The main events take place in the Gothic Quarter, in the Park of the Citadel and the fortress of Montjuïc, a crowning fireworks show - the Plaza de España. 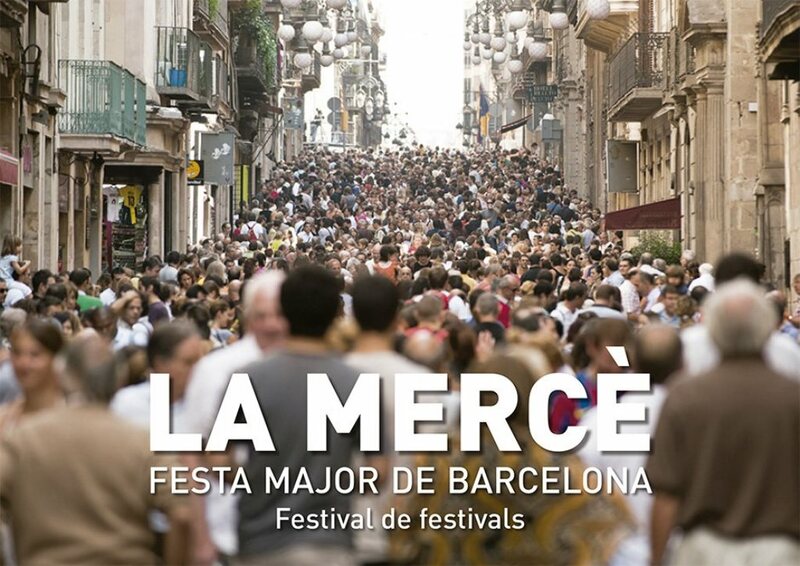 This year, La Merce Festival will take place from 18 by 24 September. Every year in the Festival participate as a special guest invited by country, This year it will be Argentina. Therefore, during the festival in Park Cittadella is a lot of shows with performances by Argentine artists, clowns, dancers tango etc. 19-th and 20 th of September from morning till night in the fortress on Mount Montuzhuik will perform various circus groups from Argentina. 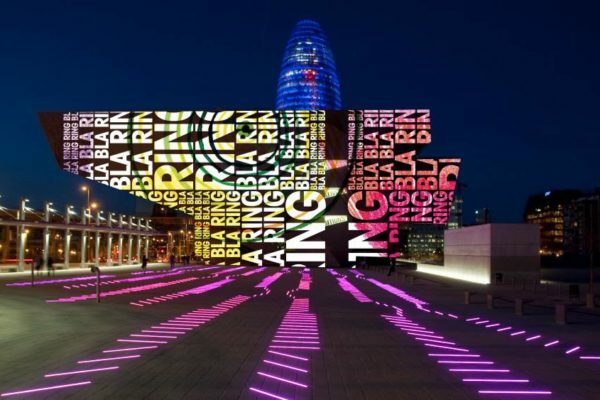 Video mapping on the facade of the City Hall of Barcelona. Plaza Jaume I.Kazhdy evening with 21-15 to 22-45. 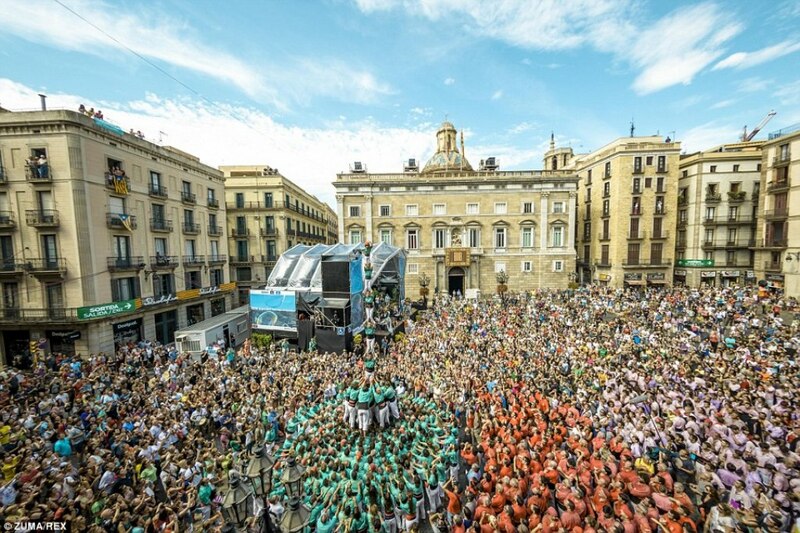 - AT 19-00 Sardana dance in the Plaza Nova square in front of Cathedral. At the same time begins the procession of mythical figures from the Plaza Jaume I and Ferran across the street Las Ramblas. 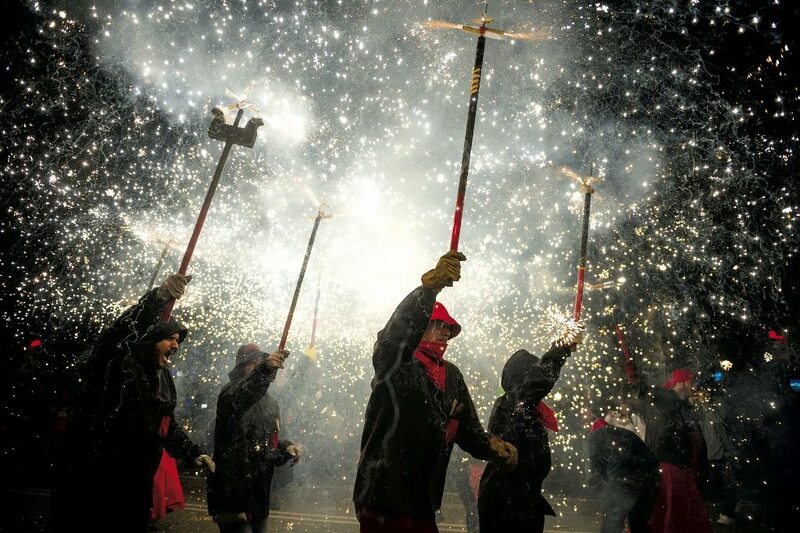 - AT 22-00 Barceloneta on the beach will be fireworks from the pyrotechnics from the Balearic Islands. - National Catalan dances 11 AM and 18-00 на площади Plaza Jaume I. In our 18-00 Giants begin a march from the square through the streets Jaume I and Ferran Las Ramblas. In our 19-30 will be dancing on the Plaza Nova sardanu to Cathedral. 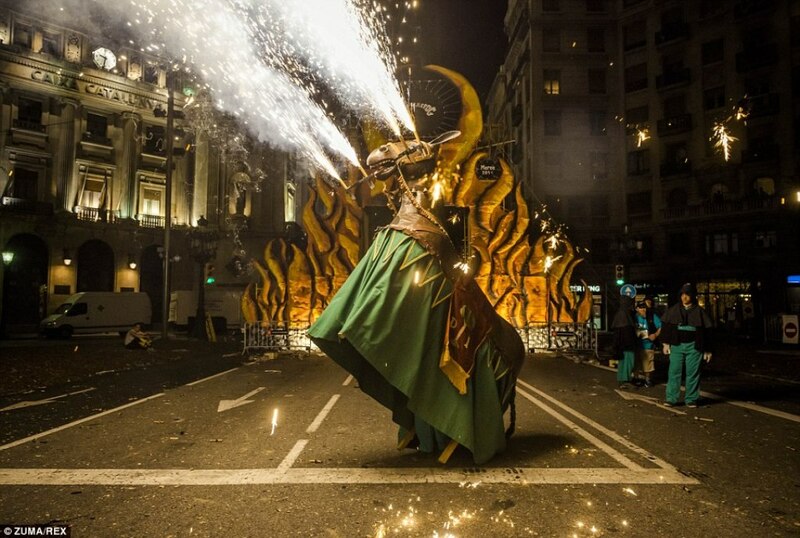 In our 21-00 It will fire procession beasts and dragons around the Gothic Quarter - Plaza Sant Jaume, Ferran, Ramblas, Plaza del Pi, Plaza Nova. 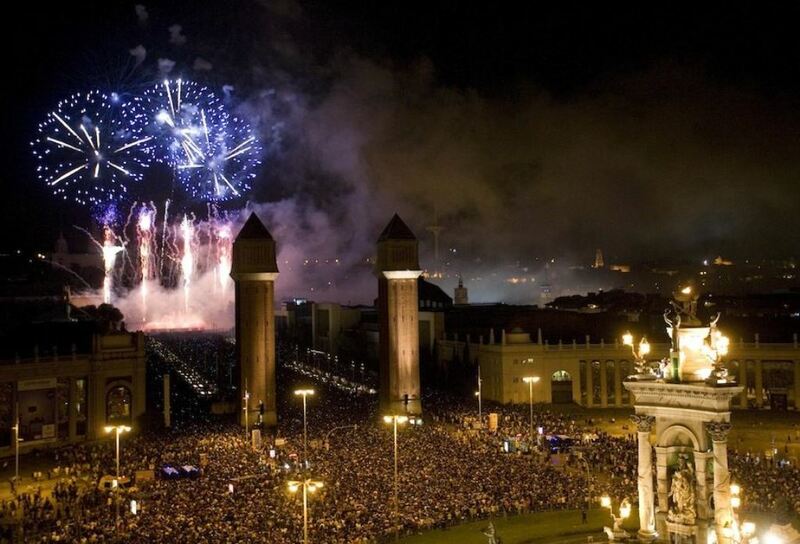 - AT 22-00 on the beach of Barceloneta will be fireworks pyrotechnics from Argentina. - Competition towers of the people in the Castells 12-00 на площади Plaza Sant Jaume. In our 13-00 танец сардана на проспекте Avenida de la Catedral и в 18-00 на Plaza Sant Jaume. In our 18-30 fire run korrefok for the smallest on the street Via Laietana, and 20-00 here will korrefok for adults and will last a few hours. 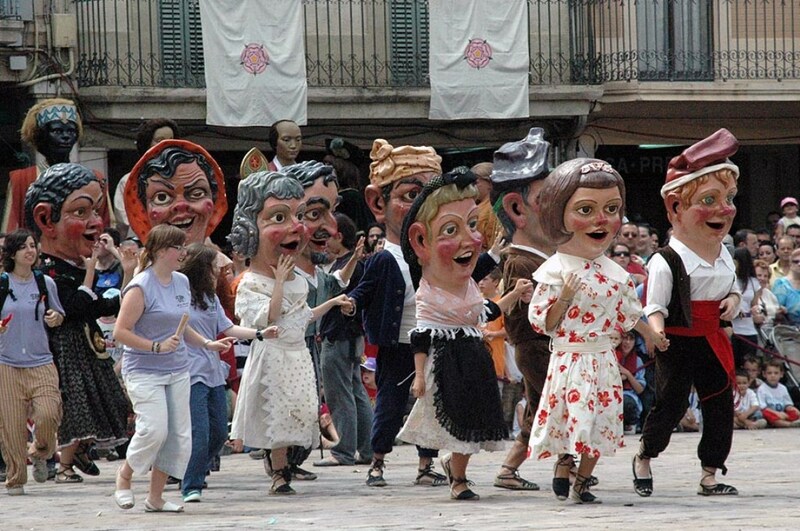 - AT 11 am from the square Plaza Sant Jaume I will begin the procession of giants at Ferran street, Las Ramblas. 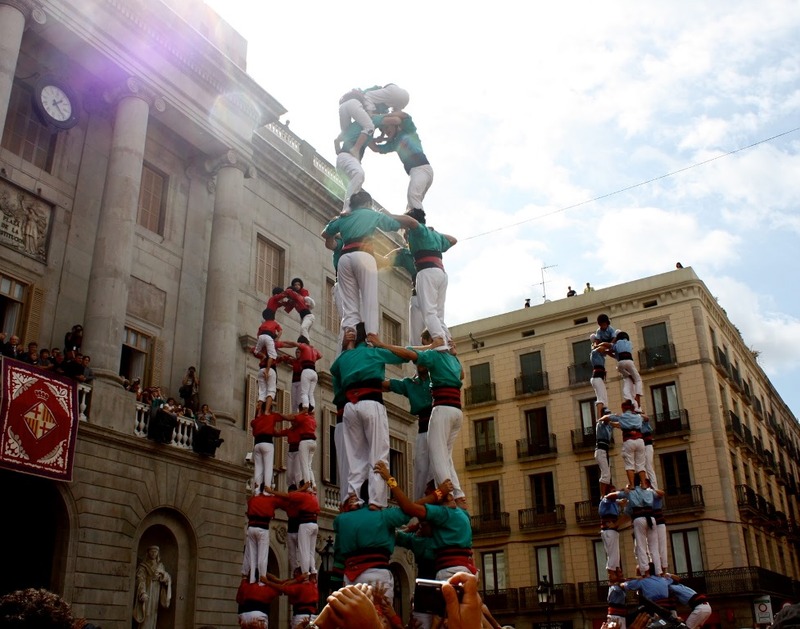 In our 12-30 on Plaza Jaume I will build a tower of people Castells. 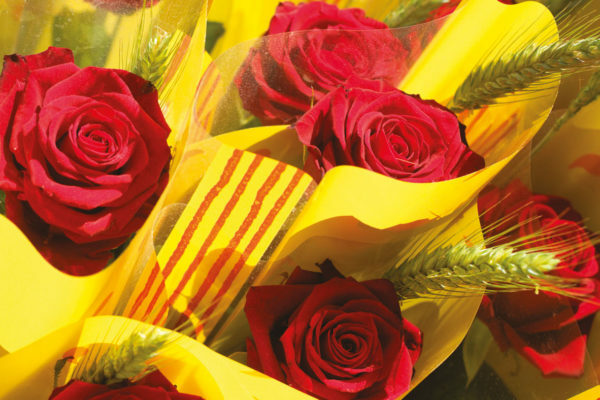 In our 18-00 will march dance folk groups from around the world, through the streets of Pelai, Las Ramblas и Ferran. 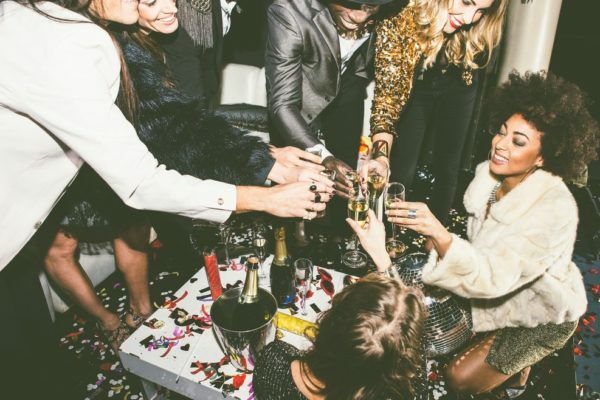 - AT 22-00 final super fireworks with music on the street Avenida Maria Cristina (near Plaza Espanya Square). Besides all of the above during the festival will be held many concerts and performances DJs under the BAM music festival. All of them are absolutely free. The concert program can be viewed HERE. In addition, this year there is the possibility to install the application on the phone, "Merce 2015", on which you can easily keep track of all the events of the festival.